ISIS rocketed onto the world stage seemingly out of nowhere, beheading American hostages, bulldozing international borders, routing the American-trained Iraqi army, and carving out a new state that rules eight million people and a territory larger than the United Kingdom. Where did ISIS come from, and how did they rise to power in so little time? What is driving them—and how can they be stopped? New York Times bestselling author Robert Spencer reveals the blood-drenched history and inner workings of the Islamic State—its military conquests, how it is financing its expansion, and the ideology that is driving its success. As Spencer reveals, the Islamic State has taken the first steps on the path to becoming a serious world power—steps that Osama bin Laden and al-Qaeda dreamed of but were afraid to take. 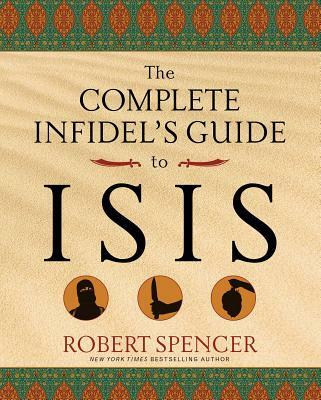 The Complete Infidel's Guide to ISIS is your one-stop easy reference for all you need to know about ISIS—and how "infidels" can stop its reign of terror.